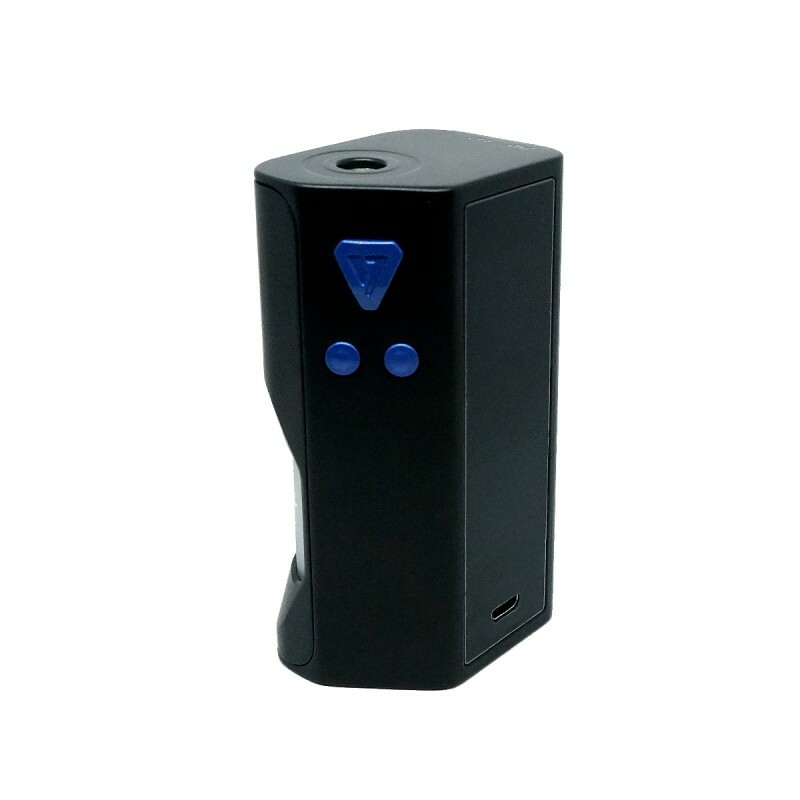 A Bottom Feed TC Box Mod powered by a single 18650 or 21700 battery and featuring a maximum output of 108W. Equipped with an advanced chipset for rapid firing capability, a full temperature control suite, and a state-breathing Project Sub-Ohm display light. Constructed with a durable and advanced zinc alloy and sporting an ergonomic shape with an elegant black paint finish. Ice-blue buttons for impressive design. The mounted display screen is 0.96 inches in length and reads vaping details including a puff-counter and a voltage output measurement. A pulsating Project Sub-Ohm Logo appears when the device is powered on. Magnetic battery door cover. 7mL removable squonk bottle. Micro USB charging capable with firmware upgrades also available.